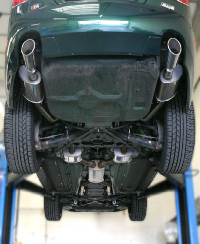 Back by popular demand, these are exactly the same as the full systems above but do not include the large centre silencer, they replace the restrictive over axle sections with full bore pipe work and offer a similar performance gain, approx 15bhp. 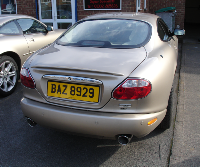 If your car is not listed below please contact us for a quote. 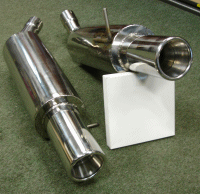 Constructed from 304 grade stainless steel & mirror polished throughout, mandrel bent pipe work for smoother gas flow, genuine performance enhancement, 20bhp expected gain, this can be further enhanced with sports catalysts. 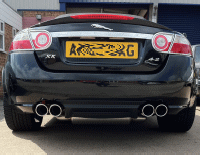 Choice of tailpipes 3” 3.5” & 4”, all mirror polished and internally finished. 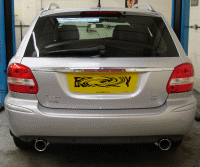 Quad tailpipes are available at cost on request. Two sound levels, V1 & V2, the V1 gives a good V8 burble and is our most popular, the V2 is quite aggressive and gives a loud V8 muscle car sound. 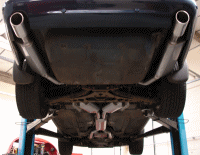 Fresh new take on the popular half System, developed as an answer to the popular back box replacement sections that are widely available, but sadly they offer no performance gain at all. This cost effective upgrade offers a genuine performance increase due to removing the restrictive OE over axle section, approx 15bhp. Fits from the centre silencer back, mirror polished, 3.5” inwardly rolled tailpipes, throaty V8 sound with minimal cabin noise. Performance System available as a back box only or a complete system from the cats back, made from 304 grade stainless steel, mirror polished, large 2.5” bore pipe work, quad slash cut and staggered 3” tailpipes with internal perf finishing, excellent performance enhancement and weight saving over OE unit, Gives the Jag an Aston V8V soundtrack to die for!!! Full system recommended if further upgrades are planned, but is not essential. Hand crafted on precision jigs from 304 grade stainless steel, mandrel bent pipe work, larger bore throughout, expected 20bhp gain and torque increase. 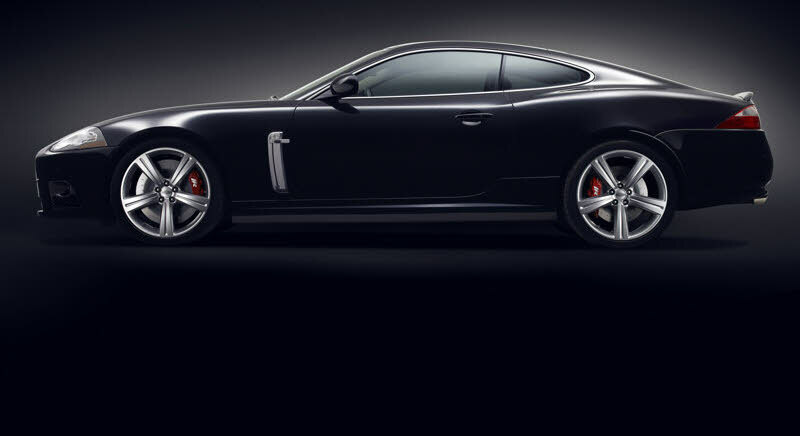 Choice of two sound levels, V1 & V2, the V1 is beefy yet practical for a saloon, the V2 is quite raw and aggressive and very muscle car style. 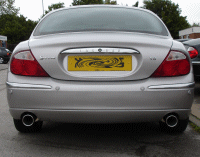 Choice of either round or squared off oval tailpipes, normally we have 4 week lead time on these systems, also available as a rear box only option. Hand crafted exclusively for us from 304 grade stainless steel, mirror polished, free flow design for excellent performance gain. Huge weight saving over the enormous OE restrictive silencers, simply cut your old silencers off at the service joint and slip these straight on for instant kerb appeal, 10bhp gain expected average. 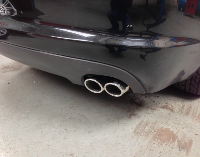 4” tailpipe inwardly rolled and internally finished for quality look and feel. Lovely V6 sound is released, not over the top but how it should be, hundreds of happy customers, these are excellent even if we do say so ourselves! No cutting required on these, just unbolt the old rear boxes and slip these straight on.